There are many different types of papers available which use natural fibers from sources other than wood, such as silk paper or cotton paper, each with its own unique qualities. When you are planning a rubber stamping or paper craft project, why not try using some different types of paper to add further interest to the finished results. These other types of paper are often known as eco-papers, as they come from fibers derived from sustainable resources, and one of them, silk paper, is perfect for projects where you want a little extra luster or texture. This type of paper has a soft feel which is more like a fabric than a paper because it is made with fibers of silk bound together, making silk paper ideal for projects where a little extra strength is required, such as creating these folded star paper earrings. Silk fibers are sometimes combined with other fibers like cotton to produce a paper with a more crisp finish that's more like traditional paper. Silk paper is available in both natural tones or dyed in a range of colors. Silk paper is becoming increasingly popular and is available from specialist paper suppliers, craft stores and extensively online. When buying silk paper, particularly over the Internet, check that you are buying silk paper made with silk fibers and not normal paper with a silk finish. There are many different types of silk paper available. Commercially produced silk paper is available in sheets and can be cut and stamped as normal. Inks and paints can bleed when applied to silk paper and it is best to make a sample piece before embarking on larger projects. 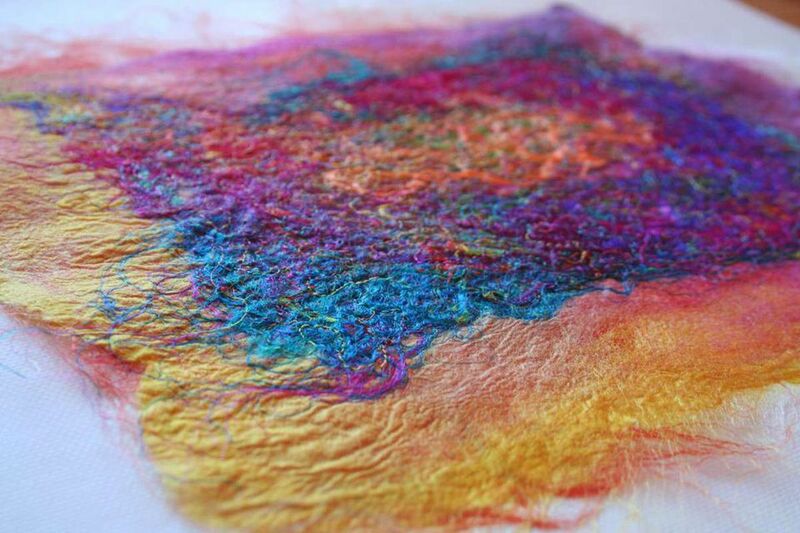 One of the attractive aspects of silk paper is that it can be stitched, which makes it perfect for mixed media projects where a number of techniques including stamping and stitching are combined to produce rich and striking finished effects. The beautiful luster of silk paper makes it ideal for wedding and other special occasion rubber stamping projects. While silk paper is more expensive than some other papers, small pieces can be used to add a highlight or accent to a project. In addition to shop-bought silk paper, it is also possible to buy handmade silk paper or to make silk paper at home, cutting down on costs and supporting local artists and suppliers at the same time. Handmade silk paper can be made by combining silk fibers with binders such as wallpaper paste or by ironing un-gummed silk fibers between sheets of parchment paper. The natural gum in the silk will join the silk fibers together when heated to create a firm paper. If you are interested in making other types of handmade paper, you could also consider recycling cardboard to make textured handmade paper or other scraps of paper to make papier-mâché.